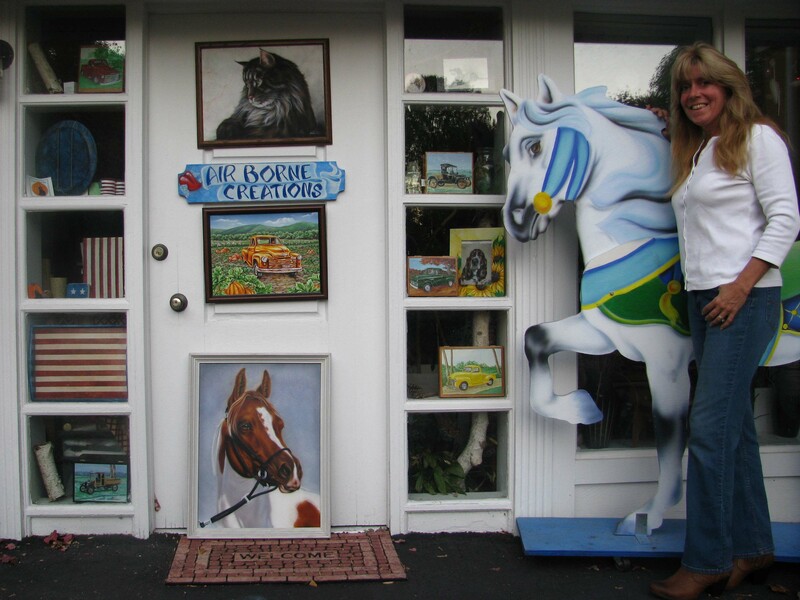 Kiki Michalek recently moved her art studio, Air Borne Creations to 87 Waterbury Rd. in Prospect. Michalek will be holding open studios, artist meets and giving demonstrations periodically. She also offers lessons and “creative space”. Michalek invited the public to her annual holiday open house on Dec. 11 from 12 p.m. to 4 p.m.
Join the artist for warm cider and refreshments to kick off the holidays. Finished pieces and works in progress are on display at the studio. 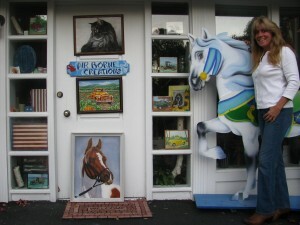 Christmas ornaments and holiday decor, original paintings and many hand painted gift items are available for sale. Donations and supplies will be accepted at the studio to help feline rescue get through the cold months ahead. Information on feline adoption will be available as well as information on care for our feline friends. Michalek has worked as a freelance artist for over 25 years, and specializes in pet portraits.